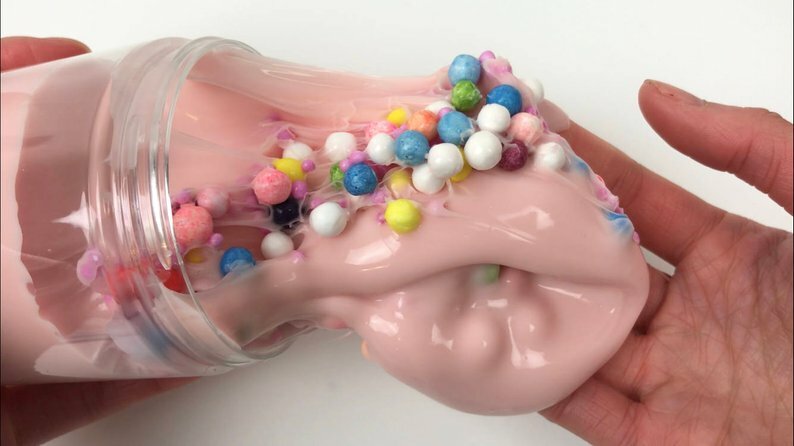 My children love tactile things like slime or squishies. We have spent many an hour destroying having fun in the kitchen making our own slime. But when the disasters became too unbearable we went on to buying stuff instead. Now you may think this is an easy task, most stores sell some sort of slime or Squishies, just take a look in The Card Factory or The Works. They probably even sell it in the supermarket. 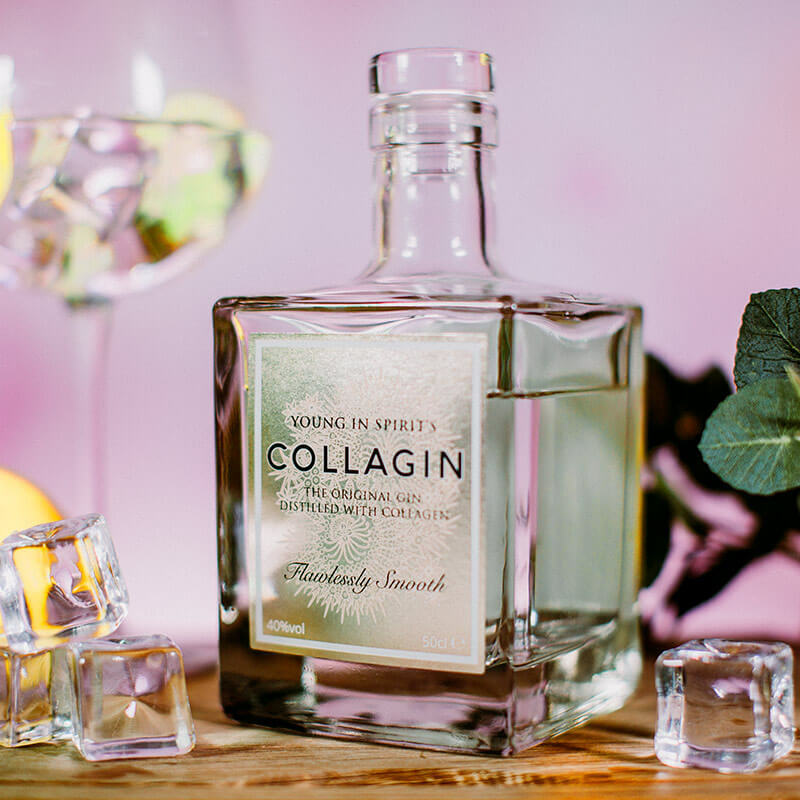 But, we are a fussy lot and we like ours to be particularly squishy, or squidgy or smell just right. 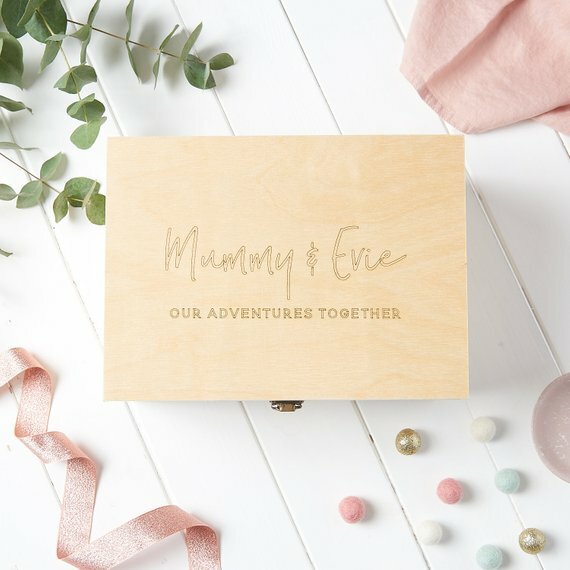 We love Etsy for this, it’s a risk buying online because you don’t get to smell or squidge before hand. But then most products sold in the shop come in sealed containers so you don’t know what you are getting until you open them anyway. We have come to love a few Etsy sellers that have not let us down and we would like to share them with you. 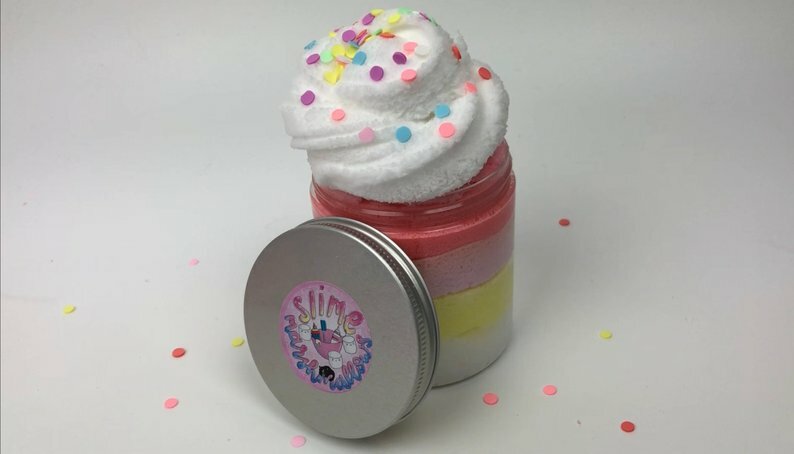 Kristi from Slime Marshmallows is our ultimate favourite seller for slime. 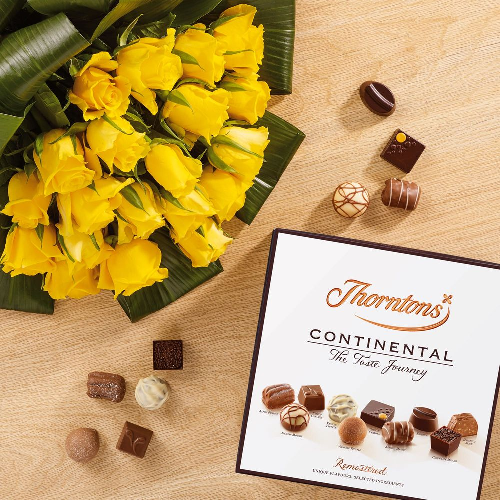 She always contacts us after an order to make sure it’s sent out at the right time if it’s for a special occasion. Slime does have a ‘shelf life’ but if I’m honest, we still have some fabulous slime from her that has lasted for ages. All slime orders come with: borax powder, a small bag of extras, a personalised note and a care sheet. You can generally choose whether you want a basic pot or a stronger one. 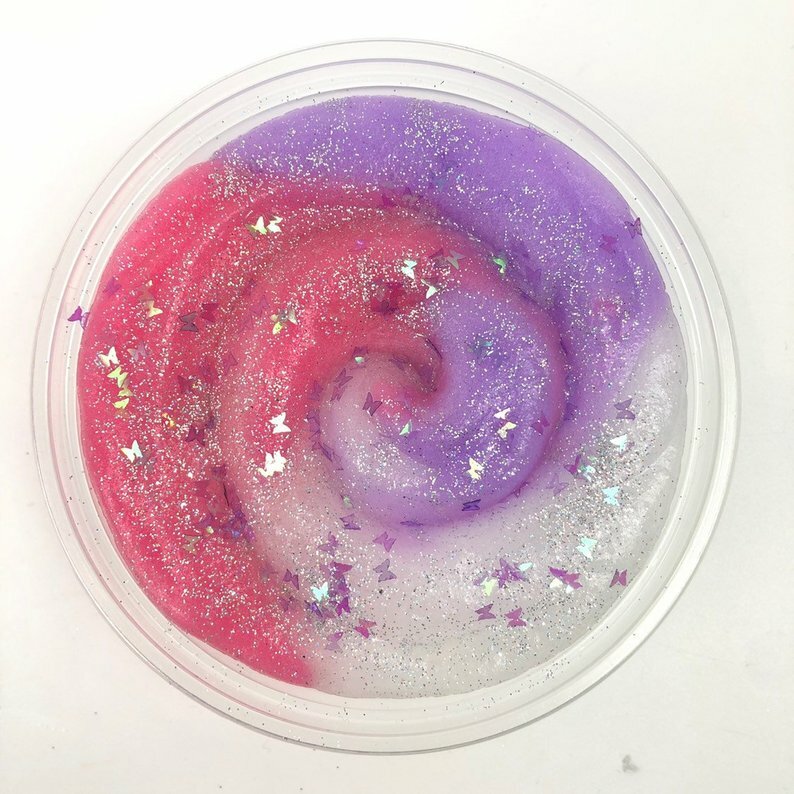 The stronger one is more expensive but your slime will last longer in it. 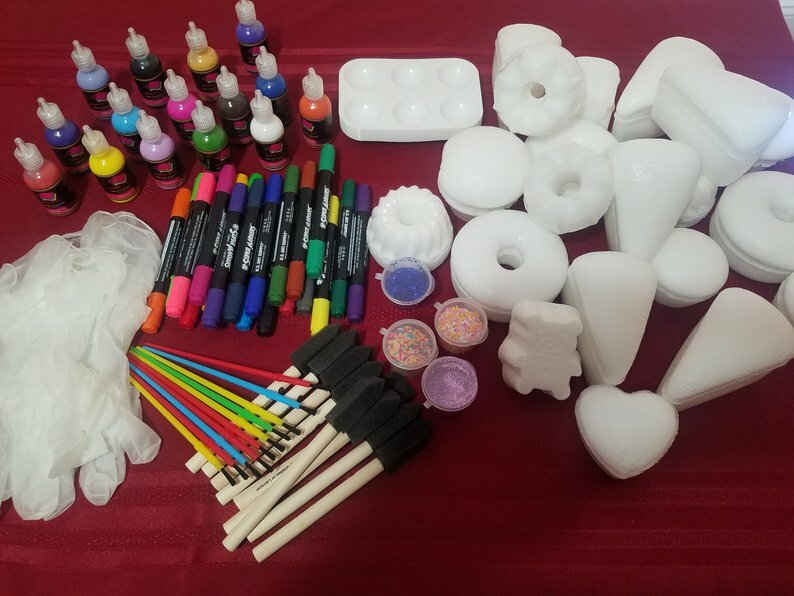 The orders are always a delight to receive and they often come with extras which can include either: glitter, foam balls, fimo slices or beads! 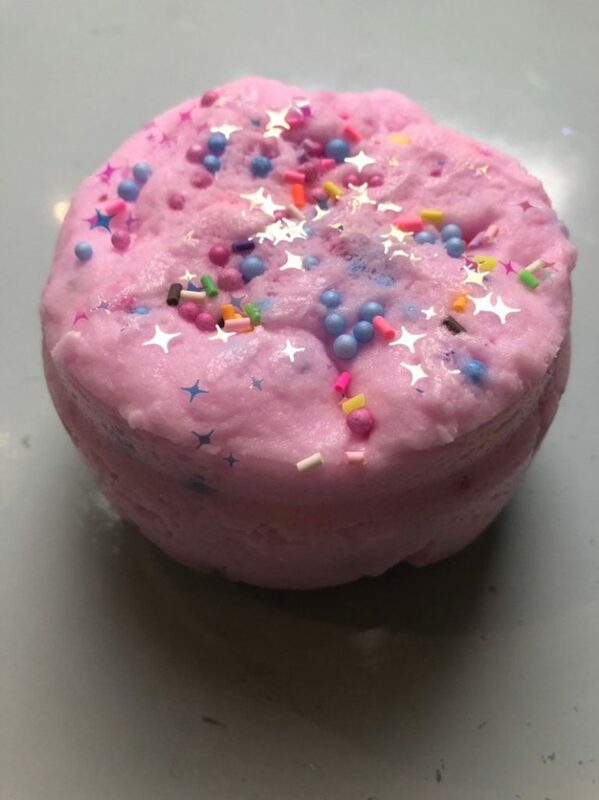 Her shop items change regularly but I’ll show you some of the favourites we’ve tried or wanted to try. 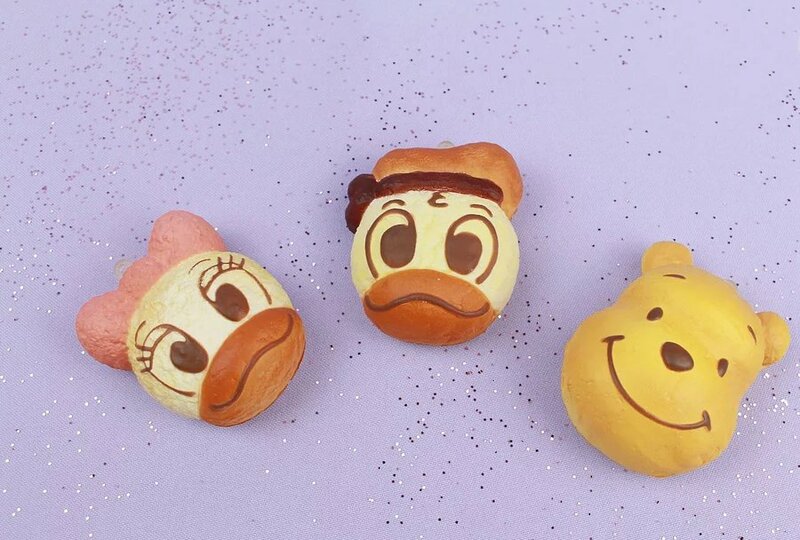 The thing about squishies is; they are fabulous while they last. Sadly, as they are meant to be squished and squashed they do tend to fall apart. So, don’t expect them to last forever…unless you don’t squish them which defeats the object. They also come in many shapes and sizes. Some like them hand size so you can just squish away while doing other stuff like watching tv or homework. Some like them bigger for that stress busting squish experience. I think they are cute so I like to have one on my key ring. Big or small, it’s so nice to give them a little squish every now or then. Squishes can be really soft or a little firmer, some squish and come back into shape immediately and some are slow rising. Everyone seems to have a preference. Here are a selection I’ve found to share with you. 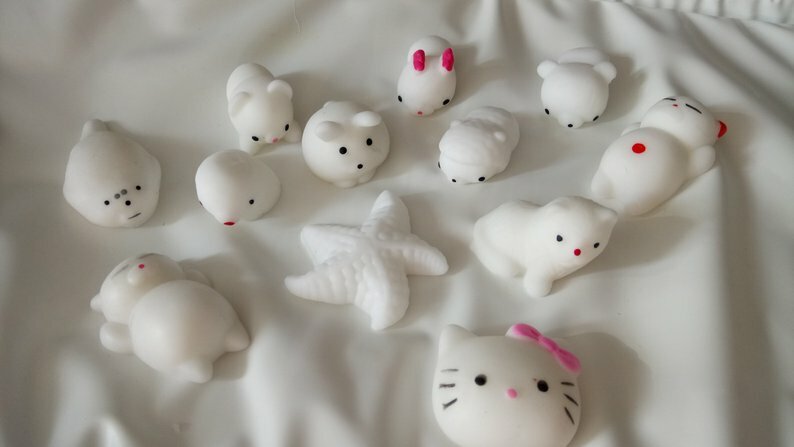 Some Squishies look yummy but don’t eat them! 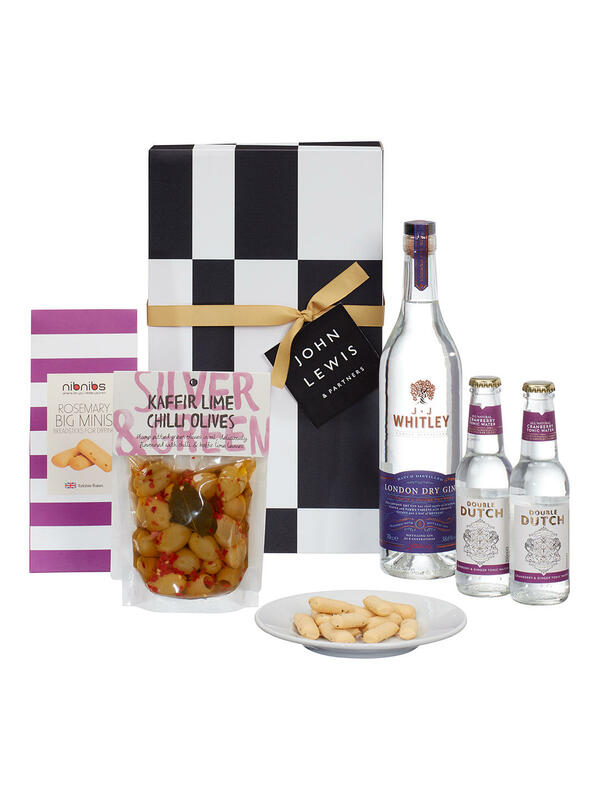 I’d like to finish off with this fabulous party kit I’ve found. We have had all sorts of crafting parties for birthday’s in the past. Last year, Boo went to a birthday slime making party which she loved. However, this is a squishy party kit with everything included for 10 children to design their own squishes. All you need is a table with a disposable table cloth and the kids will have a wild time. So tempted to try this myself for Boo’s birthday this year. Last week didn’t go exactly to plan. We didn’t have the fajita pasta bake we had pizza instead. Also we didn’t have the scallops so we are having them this week. On Friday we ended up having a Chinese take out as Graham went out and I can’t cook alone. And on Saturday I can’t even tell you what we had because I was so ill, so everyone took care of themselves. Tacos are a big favourite and we haven’t had them for a while. We love the Heinz creations Mexican beans pouches for the vegetarian option. 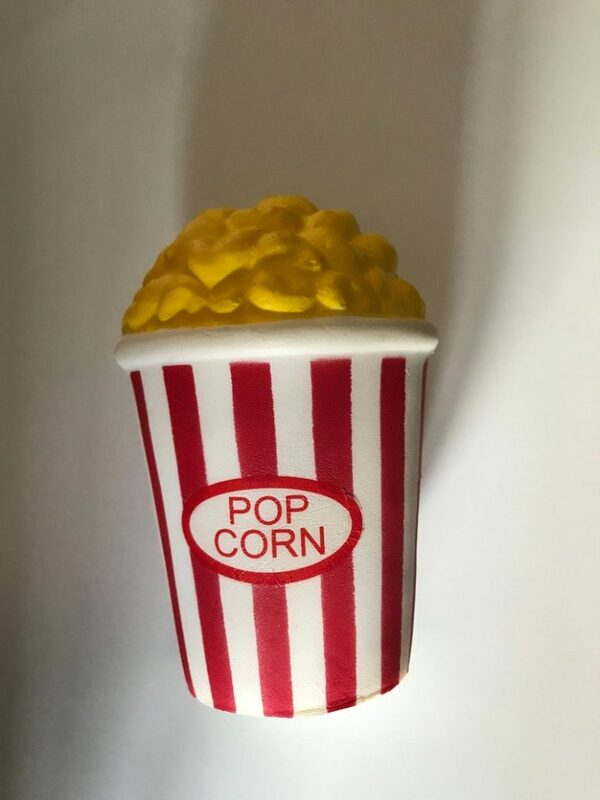 They are so simple to make. Lets see if we can stick to the plan this week! 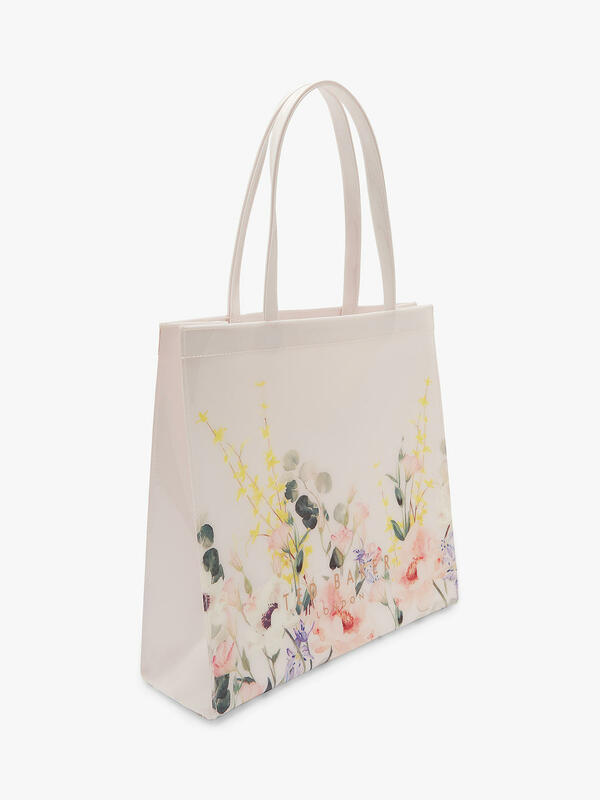 This post contains my affiliate links for Wayfair, they will cost you nothing to click through but may earn me a few pennies if you decide to buy anything while on the site. So, thank you for your support. 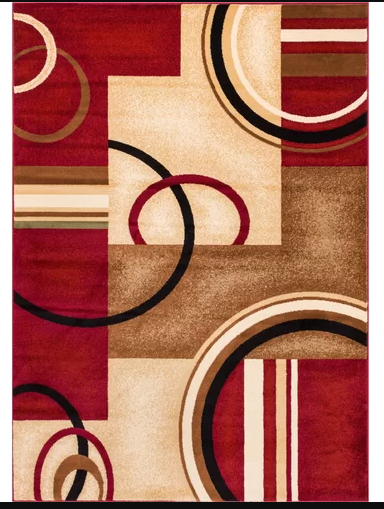 I love Wayfair and I was excited to hear that they were having a super 36 hour sale starting on April 10th. 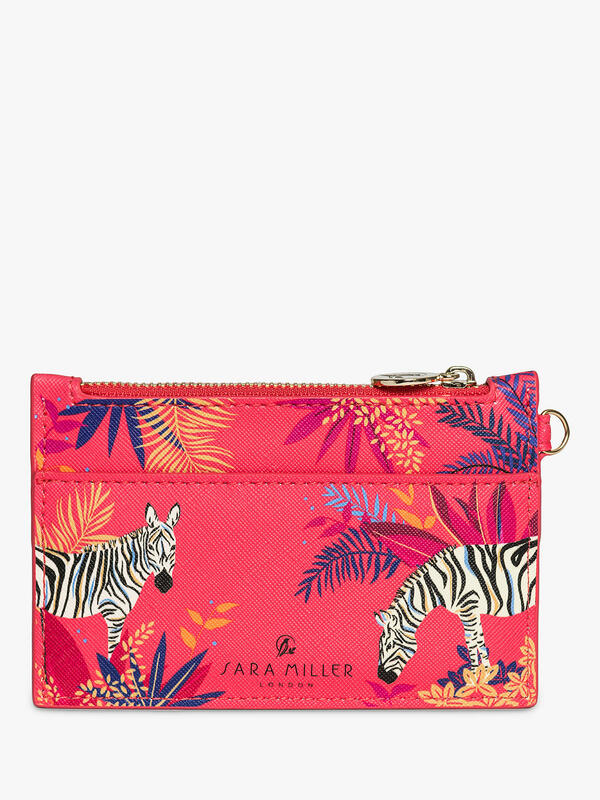 They are also offering Free Uk Delivery on everything! I thought I’d take a look and give you a some of my picks. Do Keep Checking the site though as they are having Flash Sales every 3 hours!! Next up, I am having a new carpet fitted soon and I need a rug. 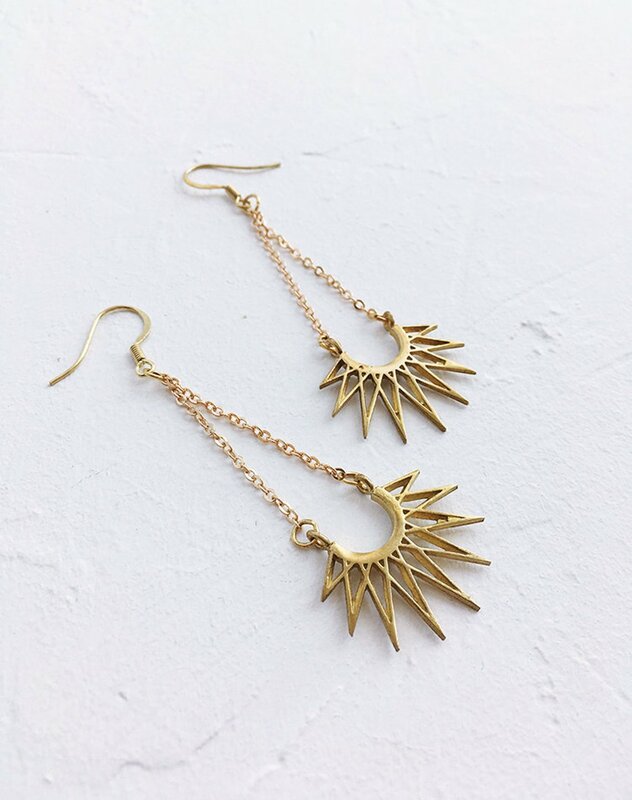 This geometric one is lovely and starts at just £24.99 at the time of posting this blog. The weather is getting nicer and I’ll soon be spending more time in the garden. 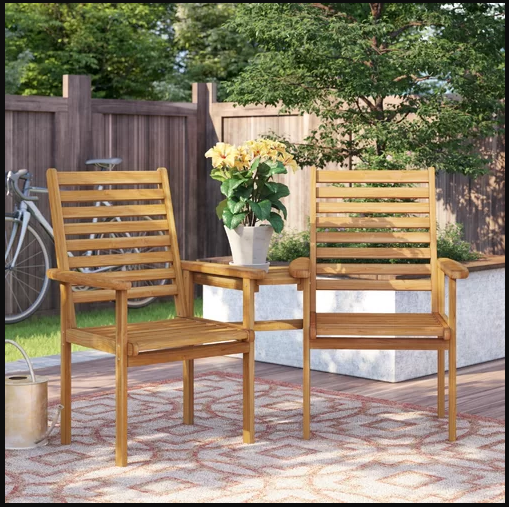 I would love this wooden Love Seat for my garden, it’s a bargain at just £67.99 at the time of writing this. These are just a few of the many, many things on sale over the next few days. 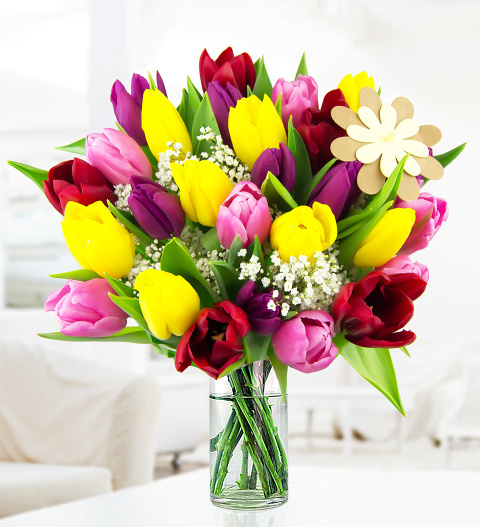 So if you are thinking of a Spring Makeover, do click through and check them out. They’ll know I’ve sent you. 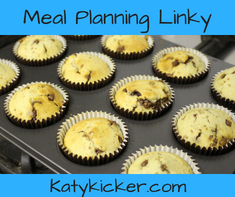 This week I am joining in with Katy Kicker and her Meal Planning Linky. 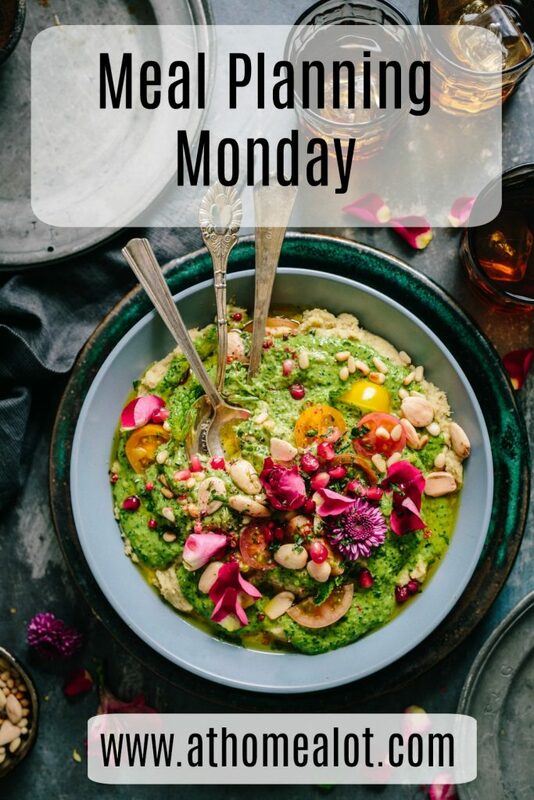 I’m hoping to make this a regular thing as I’m hopeless at sticking to making meal plans and often end up stressing each day about what to cook. Not only that but my shopping habits have become a mess. I’m spending more than £200 a week on food and we are still turning to take outs at least once a week. I NEED HELP! So, I’m giving this a lot of thought and writing down my plan before I do my online shop. Then I’ll revisit next week and see if it has helped. I’m not expecting miracles straight away, but hopefully I’ll get there eventually. The fajita pasta bake is a fairly new discovery that we love. I can’t remember where I first saw it now. It’s just like making fajitas but instead of putting the filling into wraps you put them into cooked pasta. 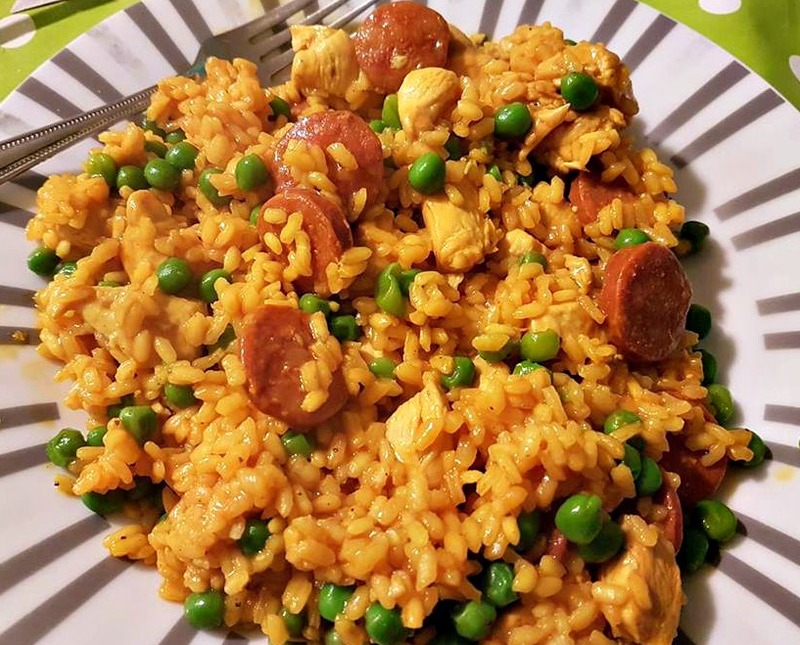 The Chicken and chorizo paella is a big favourite too. My husband is allergic to fish and sea food so it’s a paella he can enjoy. It’s my husband who will have chicken instead of fish on Friday too. We haven’t had quiche for a while, the boys are easy and will share any shop bought one. I generally make one from scratch for the girls, but I’ve found a ‘free from’ one that we like. I may change the curry on Saturday as we seem to have it a lot and we’re getting a bit bored. But hopefully the rest of the week will go to plan. I love Easter. 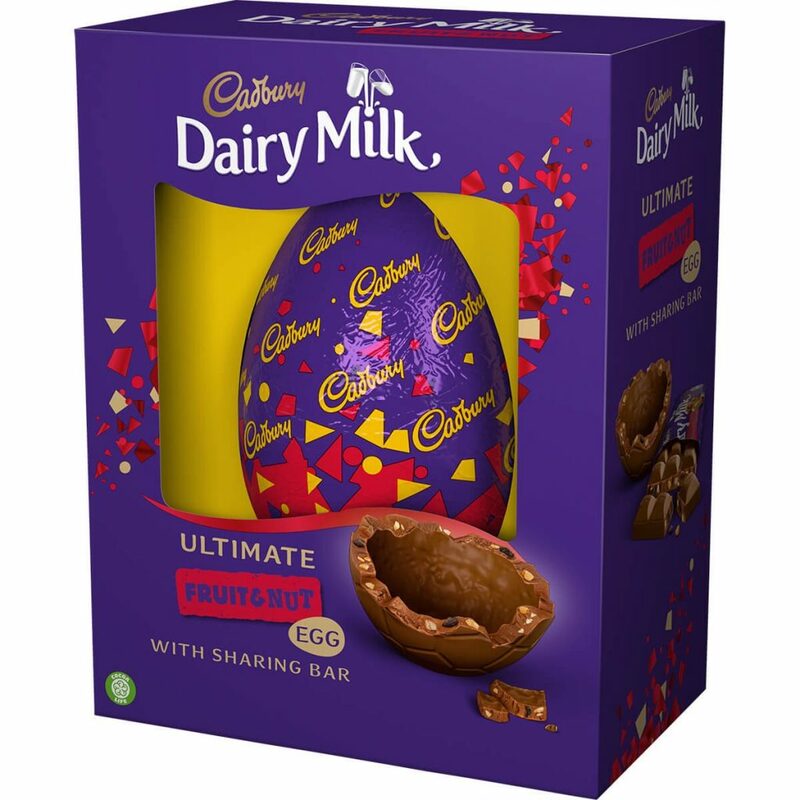 It’s in the spring time, the kids have two whole weeks off school and there is lots of chocolate! What’s not to love. You don’t even have to be religious to enjoy Easter, but if you are then you’ll know how uplifting the Church Service can be on Easter Sunday. 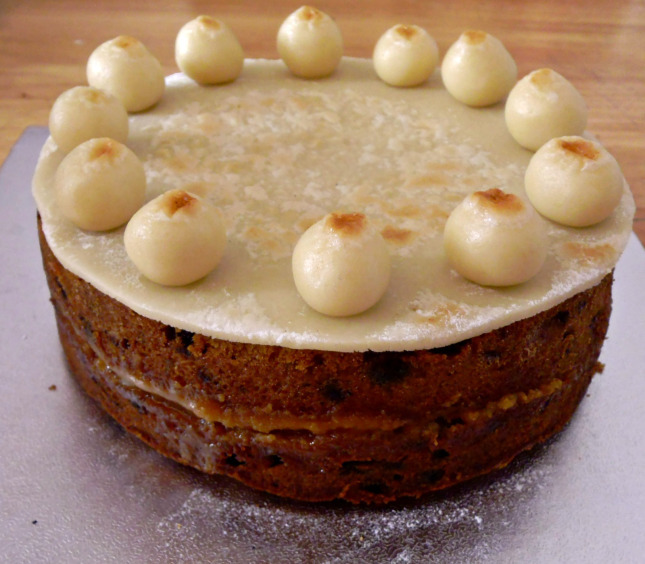 I’m going to visit some of my favourite Easter related things in this post. I may contain links to other sites and even affiliate links, just thought I’d let you know. 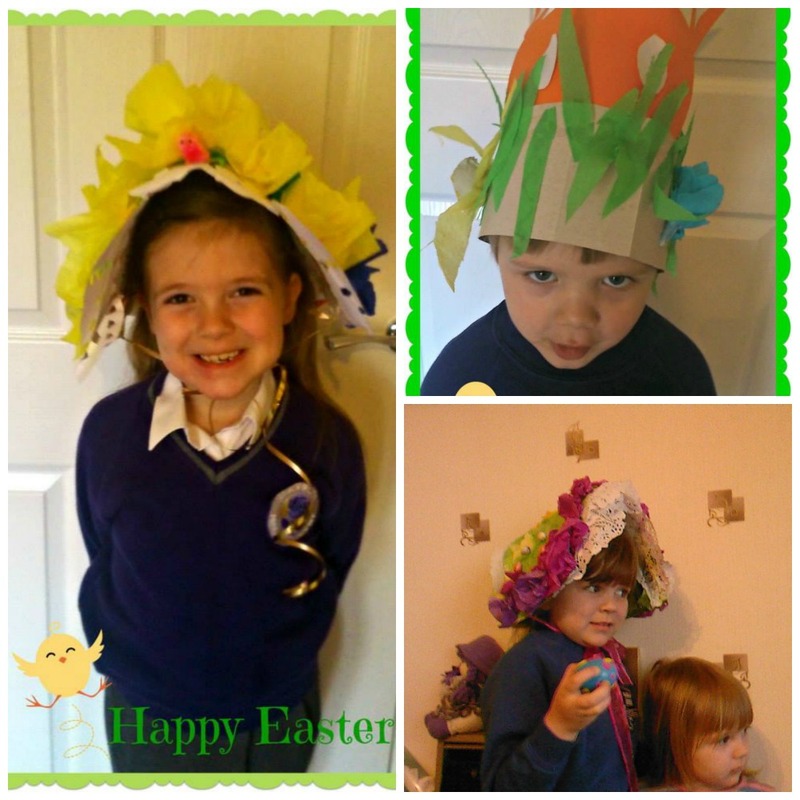 My Children are too old for Easter Bonnets now, but here’s some we made earlier. 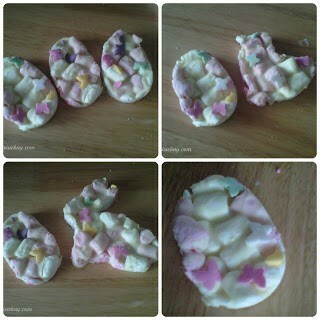 We made some yummy Easter Chocolate bark way back in 2013, It was fun and easy to make but my photography is not so good. 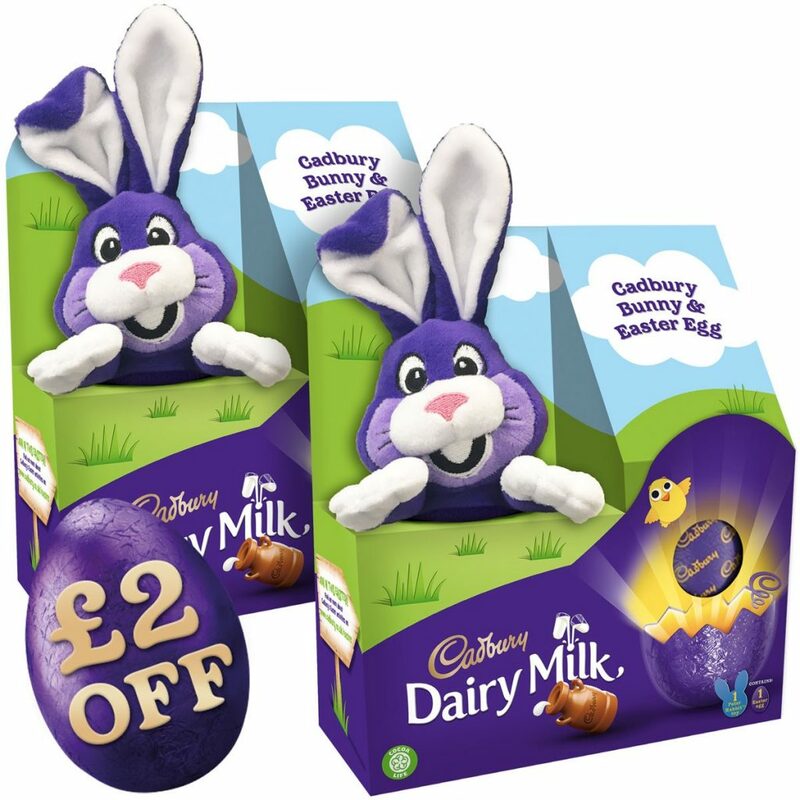 Do you have an Easter Egg Hunt on Easter Sunday? We do one at home but a couple of years ago we went to a local National Trust Property to do one. We may just do it again this year. You can find out if there is a hunt near you by clicking here. 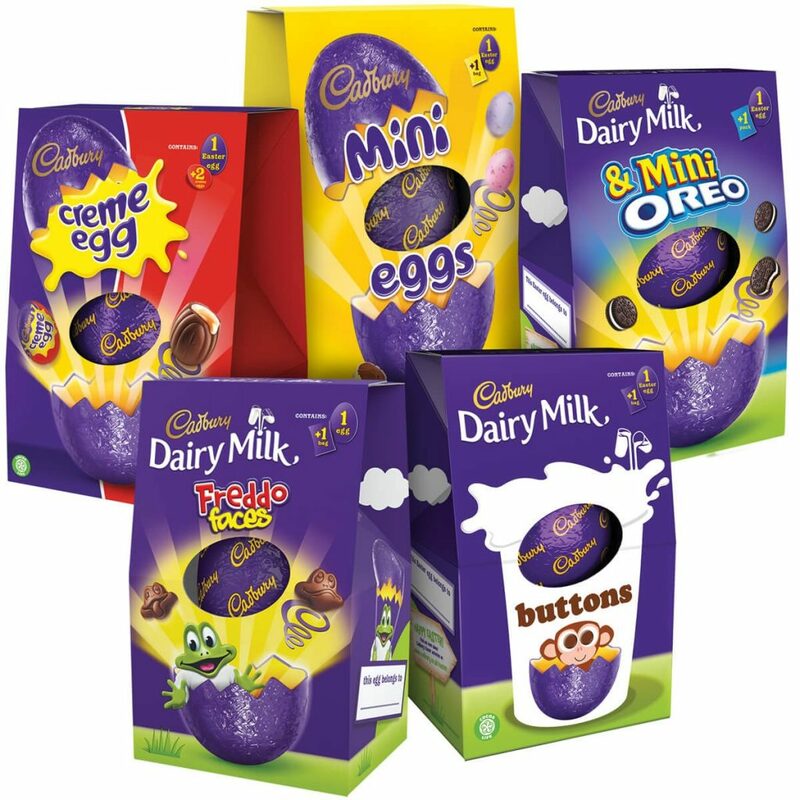 Finally, here is a pick of a few of my favourite eggs from Cadburys! When practising Mindfulness you are in the here and now, you are not lost in thought, or being distracted or being overwhelmed by difficult emotions. It is a form of meditation where you are aware of your surroundings. We spend a lot of our time being lost in thought, and a lot of those thoughts can be negative making us unhappy. Why do we spend so much time doing something that is potentially harmful to our mental well-being? It can take as little as 10 minutes per day to make an impact on our lives. Just 10 minutes of mindfulness to give our minds a rest and help it become more clear, to keep us in the present moment and to learn how to deal with the negativity and unhappiness in our lives. When you are not acting in a mindfulness way your mind is trapped on categories drawn in the past and characterized by reliance on distinctions. You see things in a single perspective and are insensitive to context. 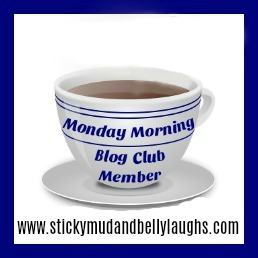 Do you frequently make silly mistakes, even at the most basic level, perhaps you forget to put your teabag in your cup when making a cup of tea? This is a state of mindlessness where you are letting your thoughts override your actions, when you are not in the present moment and thinking about what you are doing but relying on past routine. People who are not mindful get trapped by their past thoughts and emotions and find it difficult to move on. They are either thinking about the past or the future so much that they forget about the present. You need to be in the present more for a healthier way of dealing with past and future emotions. When you are mindful you are situated in the present and are sensitive to context and perspective. You are guided by rules and routine but not governed by them. You will experience engagement. It is a fact that most of our suffering, both psychological and physical is a direct or indirect effect of mindlessness. By challenging mindlessness we can become more aware of the present and change the way we react to social and cultural cues.We can change ingrained behaviours that sap health, creativity, optimism and vitality from our lives. 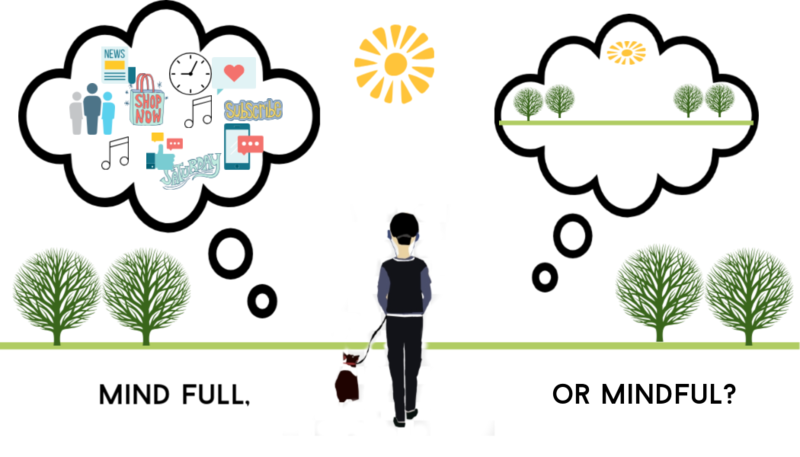 So, how do we become more mindful? You need to start with yourself. Ask yourself how people see you and then how you see yourself. Then challenge the differences. Work out exactly what is most important to you in your life right now, write a list, then whittle it down. Once you are more aware of who you are and what you want you can begin to become more mindful. 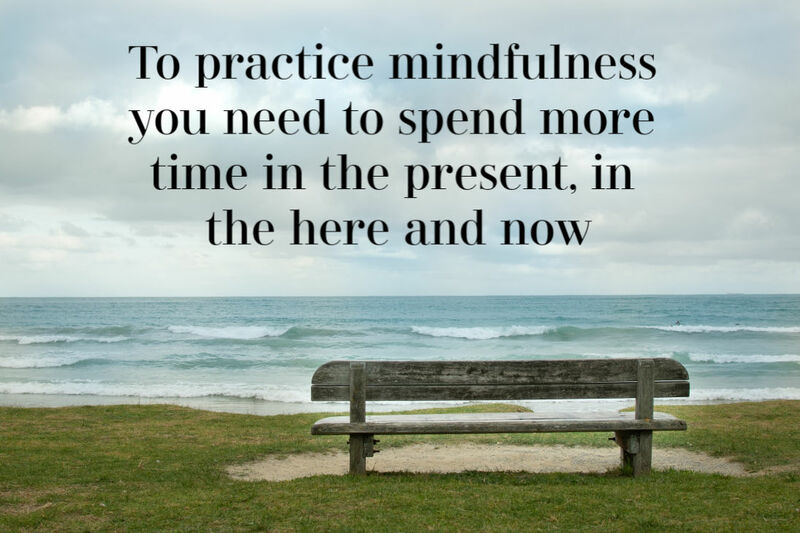 To practice mindfulness you need to spend more time in the present, in the here and now. Stop letting thoughts and worries control the way you behave. The more you think about something the more worrying it becomes. It’s like a toothache, your tooth hurts and you become aware of it, so you think about it more, then you rub your poorly tooth with your tongue and there it is again, the pain. It hurts, so you think about it more and the more you think about it the more it hurts. It’s definitely not easy to stop thinking about it, or prodding it with your tongue, but if you become distracted by something else isn’t it a fact that it hurts less, or you forget that it hurts? Mindfulness is like that, you know you have problems and worries but you have to spend a little time not letting them dominate your thoughts so you can forget about the pain they cause you for a while. You need only subtle shift in your thinking, your language and your expectations to begin to change ingrained behaviours. In just 10 minutes a day you can begin to transform your life and learn to spend more time in the present. This is done by meditation, but don’t worry, you don’t have to get your carpet out and burn the incense. You don’t need to clear your mind and think of nothing. You don’t need to fill your mind with chanting . There is nothing wrong with these methods of meditation but most people find it really difficult, I know I do. Mindfulness meditation means putting yourself in the present. You need to spend 10 minutes a day just being in the here and now. Do nothing for 10 minutes.Switch off your phone and any other distractions. Maybe go out and sit on a bench somewhere, or stand in the park. Then simply listen and observe and be in the present. Don’t think, don’t talk, don’t plan, don’t judge. Take in your surroundings. If you feel a thought coming up then accept then let it go. Witness your thoughts and emotions coming and going without judgement but with a relaxed calm mind. It’s not an easy thing to do, but just try it regularly and with time it should get easier. The Benefits of Becoming More Mindful. Being more mindful means you can stop doing things governed by rules and routine and make less mistakes by being more aware of where you are and what you are doing. You will be able to change ingrained behaviours and learn how to deal with things differently. You will be able to challenge the limits that you assume are real and transform your life. You will have a greater sense of focus, calm and clarity in your life. All you have to do is spend some time in the present and understand that your thoughts do not control you because you can control them. If you are interested in finding out more about Mindfulness there are lots of books to choose from. A Year of Mindfulness – Challenge yourself to be more mindful for a whole year! The title of this post should really be what I’ve been listening to lately, but I do love my audio books. 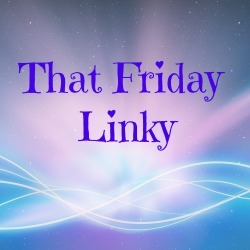 In this post I’ll include links to both Audio and Book versions. I absolutely loved this book and didn’t want to put it down. The characters are beautifully described and the story gently told. There are twists and turns, some of them easy to work out, but the end still leaves you guessing a little. Can you work out what the third thing about Elsie is? I love that even old people can have adventures, as well as skeletons in the closet. The story moved at a good pace despite the over use of flowery descriptions. 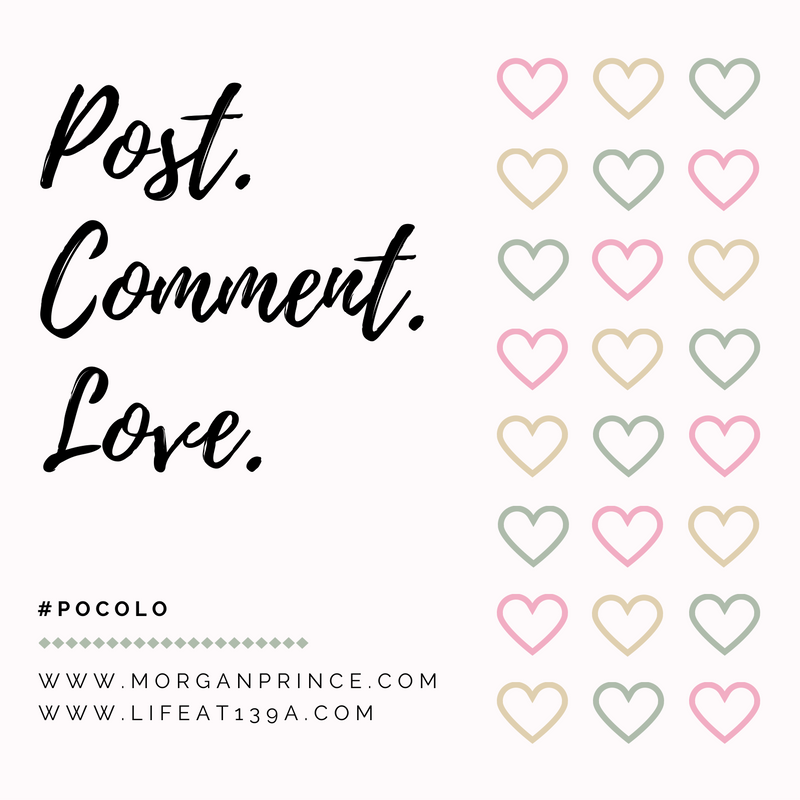 There were so many things I read that I would love to quote…probably too many as I can’t remember any! But it didn’t distract from the story which had everything you need for a good read. Maud Drennan – underpaid carer and unintentional psychic – is the latest in a long line of dogsbodies for the ancient, belligerent Cathal Flood. Yet despite her best efforts, Maud is drawn into the mysteries concealed in his filthy, once-grand home. 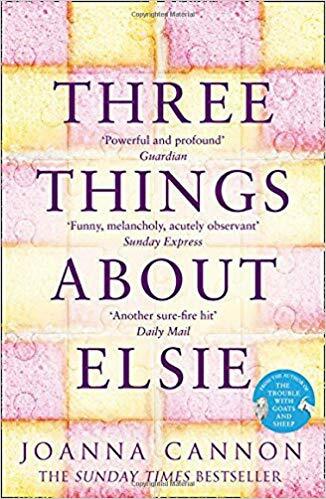 She realises that something is changing: Cathal, and the junk-filled rooms, are opening up to her. 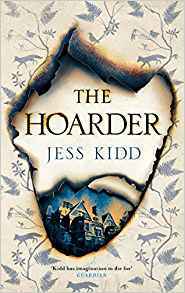 With only her agoraphobic landlady and a troop of sarcastic ghostly saints to help, Maud must uncover what lies beneath Cathal’s decades-old hostility, and the strange activities of the house itself. And if someone has hidden a secret there, how far will they go to ensure it remains buried? This is another great story if a little weird. The main character obviously has some sort of psychic gift, or she’s just a little bonkers. No matter, I found her guardians entertaining. The story has some great twists and secrets to discover, and it’s another page turner. The old man has a certain charm despite him hiding it well. There were parts that made me laugh, some that made me tense and others that even made a lump in my throat. Great read if you like something a little different from the normal thriller. 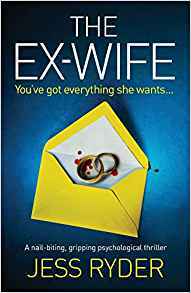 Then Natasha returns home one day to find her husband and Emily gone without trace. Desperate to get her daughter back, Natasha will do anything even if it means accepting an offer of help from Jen. But can she trust her? And do either of them really know the man they married? This is a fast paced book with lots of twists and turns. Sometimes it’s hard to figure out who’s side you’re on. Then a certain character reveals their true colours which makes you wonder why any of the other characters have survived at all. I really enjoyed the way the characters developed and the story line was strong. There was a couple of twists I really didn’t expect. The story flips from Now to Then and for a while you are not really sure of the relationship between the characters in the different time scales. There were one or two things which I felt were a little far fetched but they added to the suspense and gave explanations as to why the characters acted the way they did. I love to crochet, it’s so relaxing and I love it when something comes together and I can say I made this. Last year I joined a CAL with Simply Crochet magazine and each month I learned a new stitch to make a block for a beautiful blanket. The blanket came with two options, one was Stonewashed, the other Colour Crafter. I chose the colour crafter and it turned out like this. 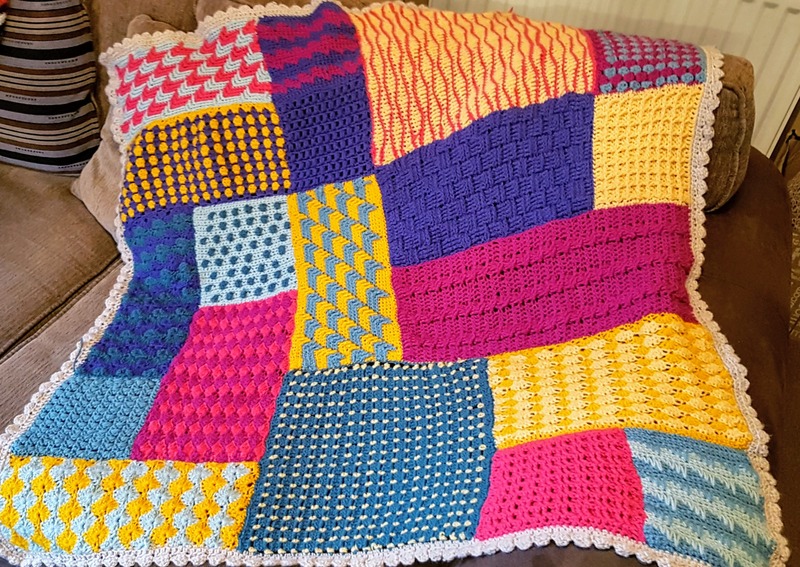 Not only have I made a lovely, soft, cosy and colourful blanket, but I’ve learnt a lot of new stitches. Some of them I struggled with, but mostly it was straight forward. There are even You Tube videos which can help you with the more trickier stitches. But it’s not as difficult as it looks. I still consider myself a beginner and I managed to make one. If you fancy trying out Simply Crochet magazine please click the banner below for a great offer. 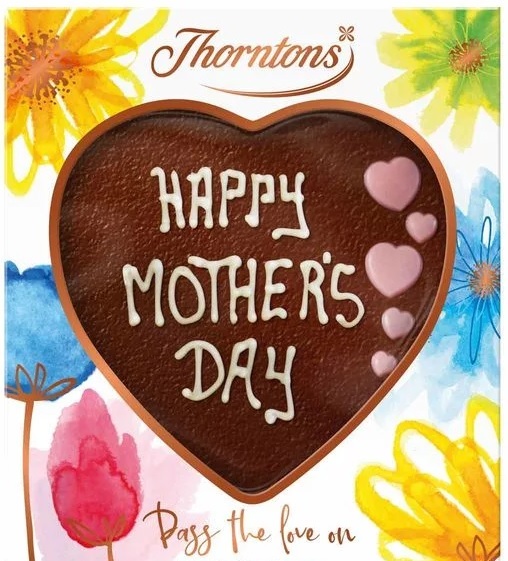 Mother’s Day 2019 is on March 31st. 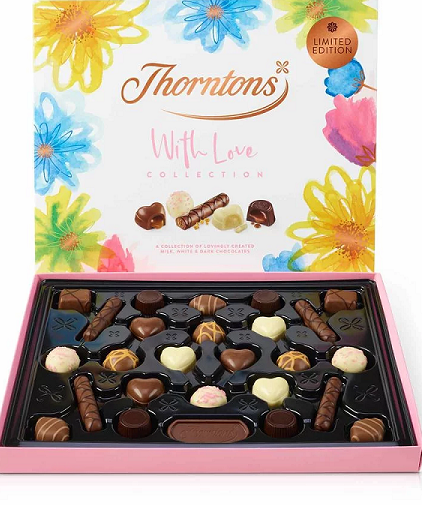 Thorntons are a great place to start, you can have your chocolate personalised if you wish to make it extra special. 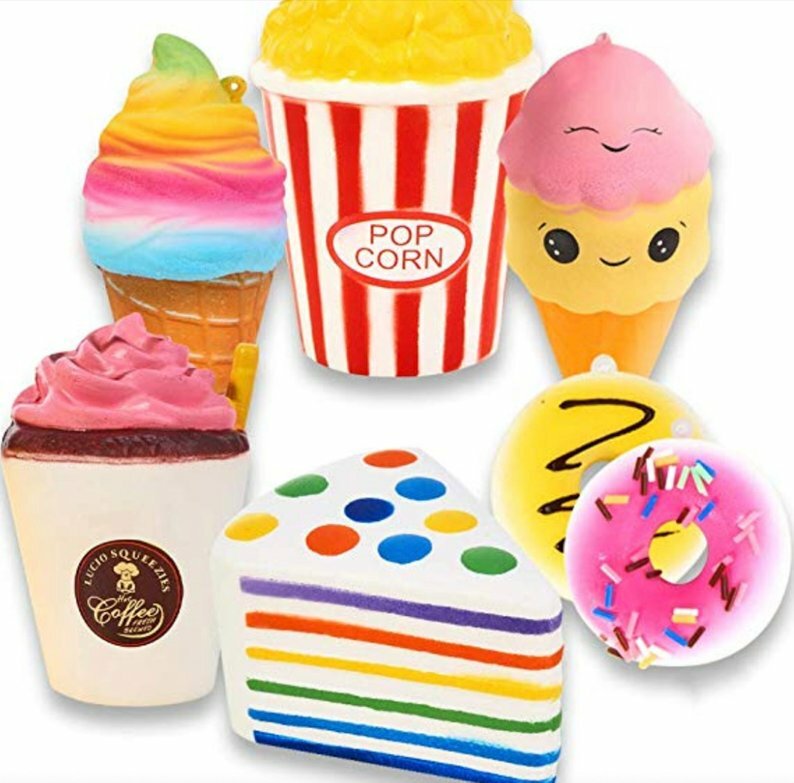 Here are just 3 of the gifts available, two are under £10 so perfect for the kiddies to buy! 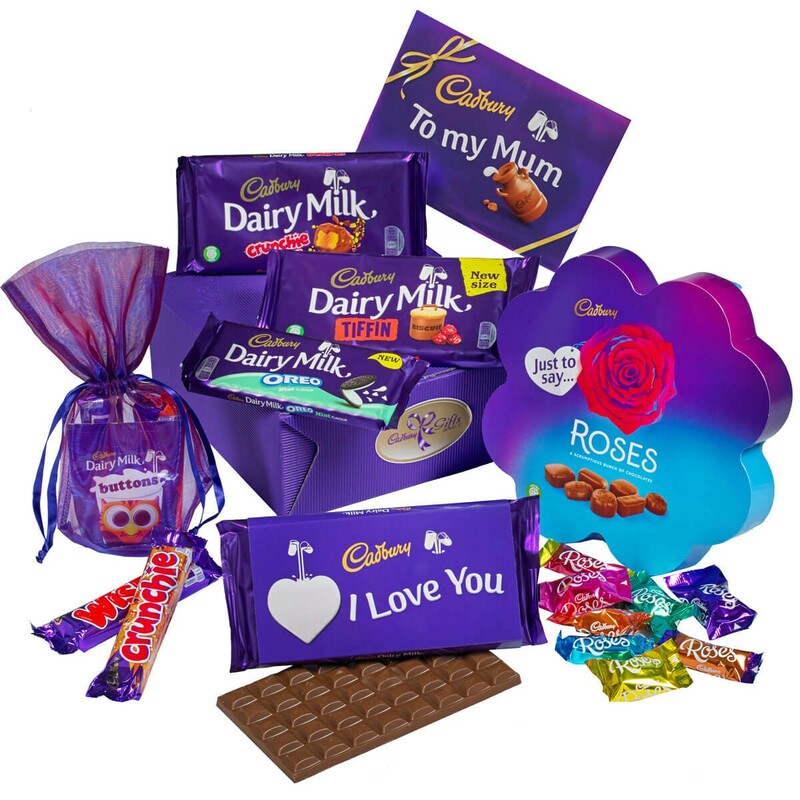 Cadburys offer some lovely selections especially for Mum, priced at £10, £20 and £30…perfect for every budget. 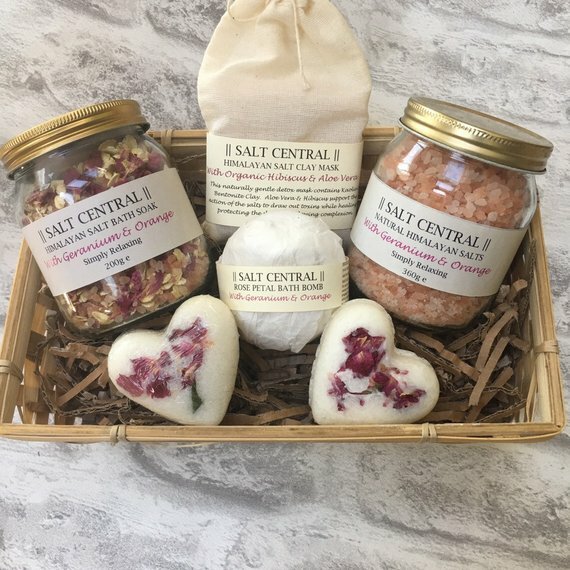 Looking for something a little different or special, then Pressy Box has literally hundreds of fabulous products to choose from. 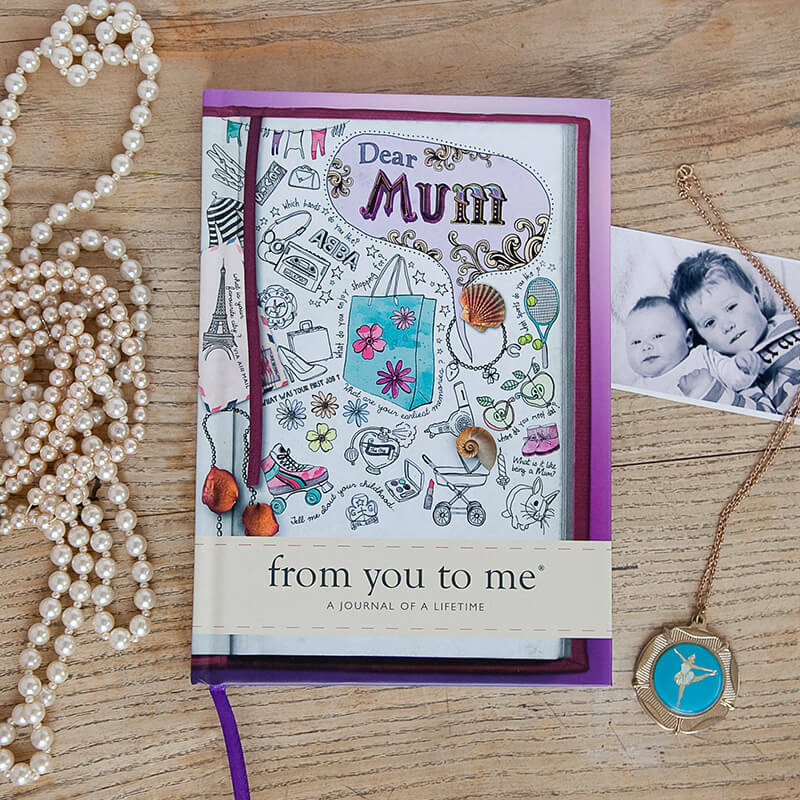 You’ll be sure to find something that your Mum would love. Here are a small pick of my favourites. 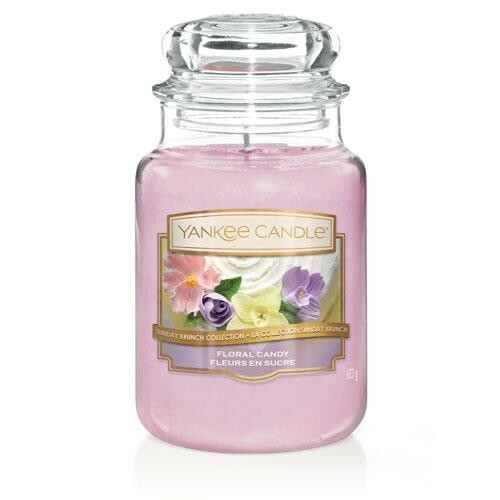 I love candles, they add atmosphere as well as a beautiful scent to your home. I could have a hundred candles and it still wouldn’t be enough. 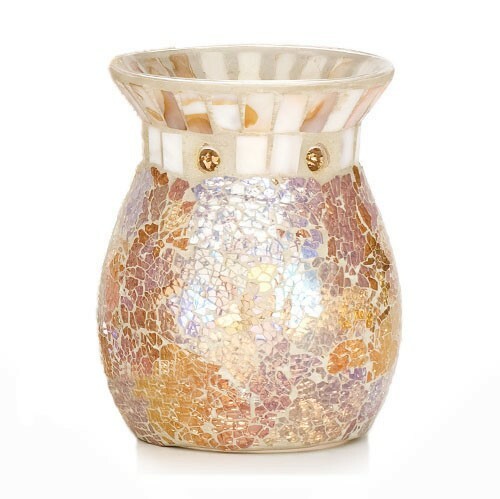 Candles Direct are the place to go for all things candle and they have some great prices too. 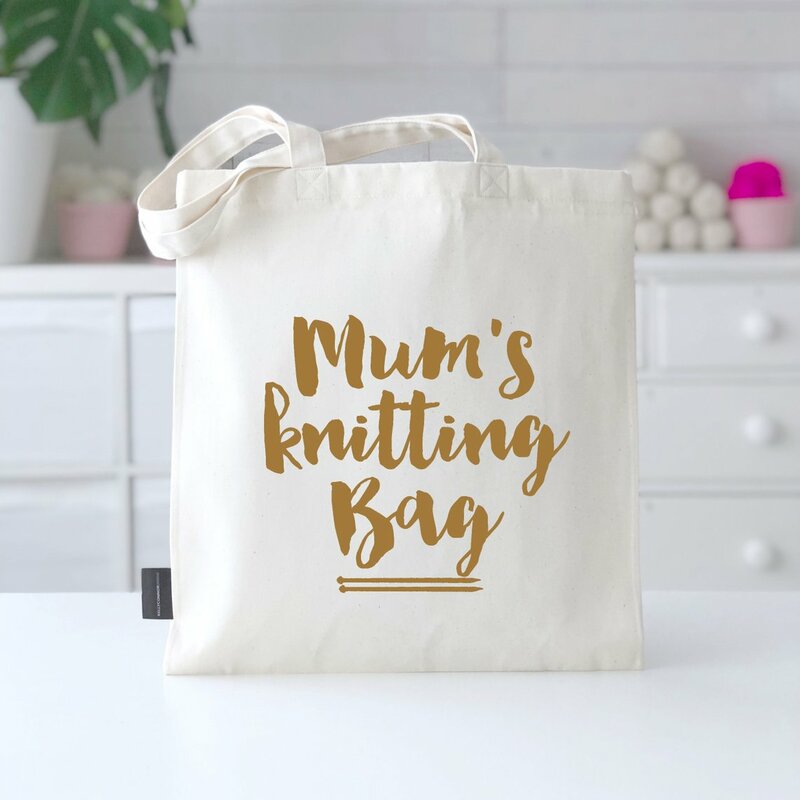 You Can’t beat a look around Etsy if you want to find something really special for your Mum, from handmade to personalised and a whole lot more. John Lewis have a lovely selection of gifts, including things you wouldn’t normally think of. 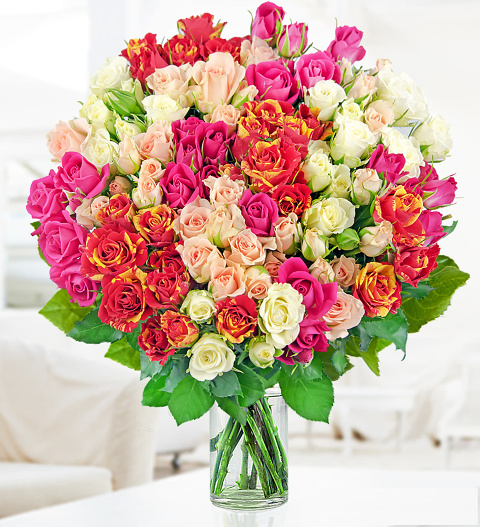 How about sending Mum a gorgeous bunch of flowers through the post. 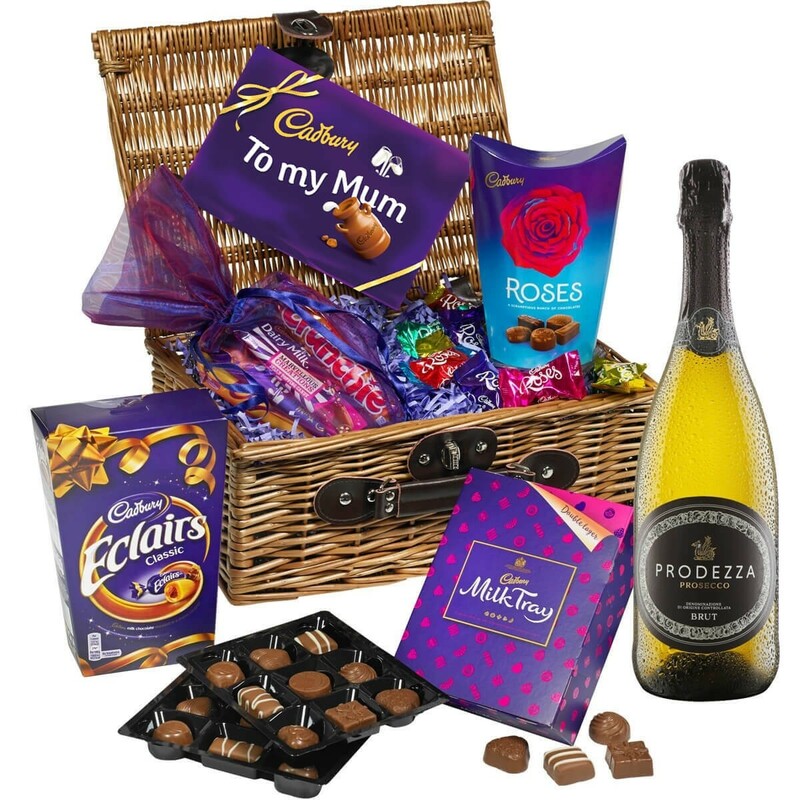 You can even add chocolates or teddy bears as well as other gifts and cards. I hope you have enjoyed my list and found it useful. 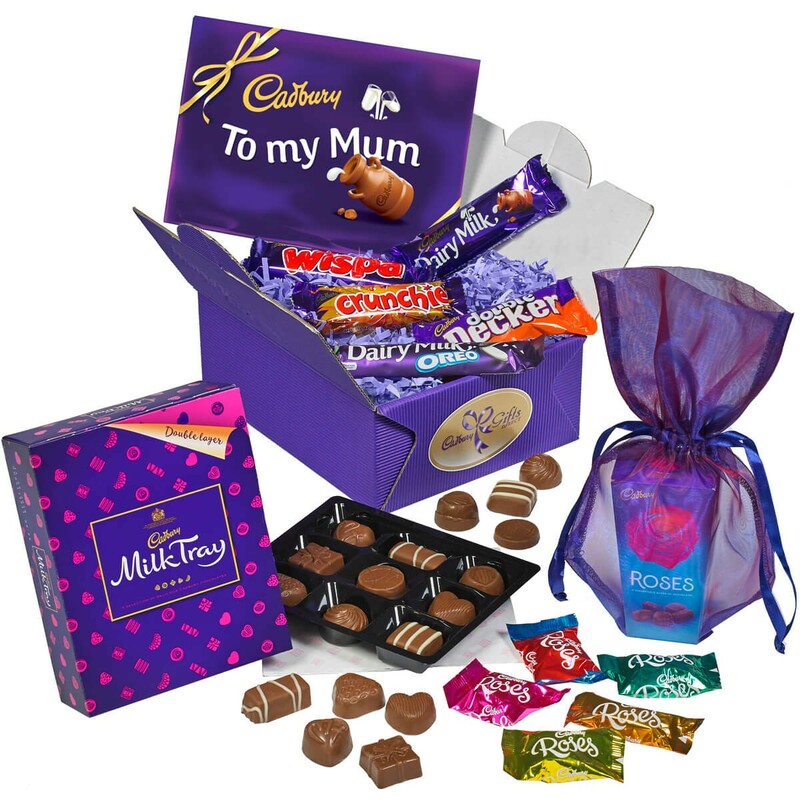 Let me know in the comments what you would like to buy your Mum for Mother’s Day, or what you would like to receive yourself. Do you like finding out more about celebrities, hearing about the real person? These audiobooks are Audibles latest offerings in celebrity Biographies and Memoirs. An inspiring story of a modern American icon, here is the first comprehensive account of the life and times of Michelle Obama. 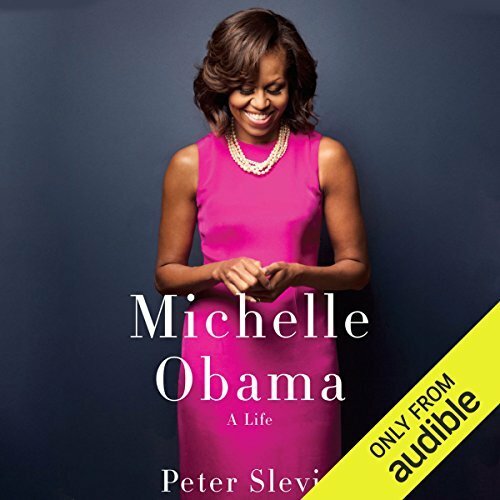 With disciplined reporting and a storyteller’s eye for revealing detail, Peter Slevin follows Michelle to the White House from her working-class childhood on Chicago’s largely segregated South Side. He illuminates her tribulations at Princeton University and Harvard Law School during the racially charged 1980s and the dilemmas she faced in Chicago while building a high-powered career, raising a family, and helping a young community organizer named Barack Obama become president of the United States. From the lessons she learned in Chicago to the messages she shares as one of the most recognizable women in the world, the story of this first lady is the story of America. Michelle Obama: A Life is a fresh and compelling view of a woman of unique achievement and purpose. Please note that this audiobook contains explicit language and content some listeners may find distressing. The memoir from the real woman behind the leopard print, for real women everywhere. 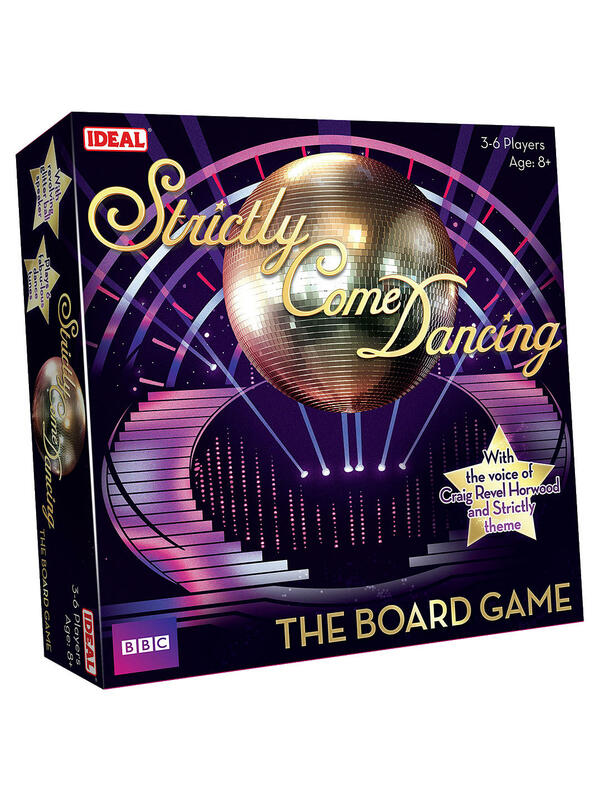 As one-fifth of the iconic Spice Girls and judge on X Factor and America’s Got Talent, Melanie Brown, aka Scary Spice, has been an international star since the age of 19. And yet there are sides of Mel that no one has ever seen or really known. Brutally Honest is an exposé of the struggles and acute pain that lay behind the glamour and success. 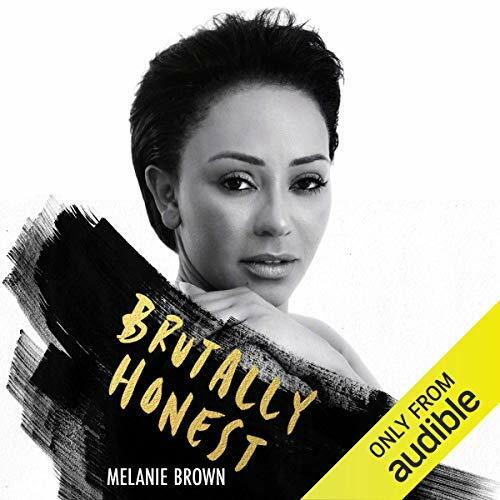 With deep personal insight, remarkable frankness and Melanie’s trademark Yorkshire humour, this audiobook removes the mask of fame and reveals the mother, wife and daughter behind the Spice Girl everyone thinks they know. The audiobook edition features narration from Melanie, her daughter, Phoenix, and her mother, Andrea. Looking back over his life, from schoolboy crushes (on girls and boys) to discovering the power of making people laugh (in the Cambridge Footlights with David Mitchell), and from losing his beloved mother to becoming a husband and father, Robert Webb considers the absurd expectations boys and men have thrust upon them at every stage of life. 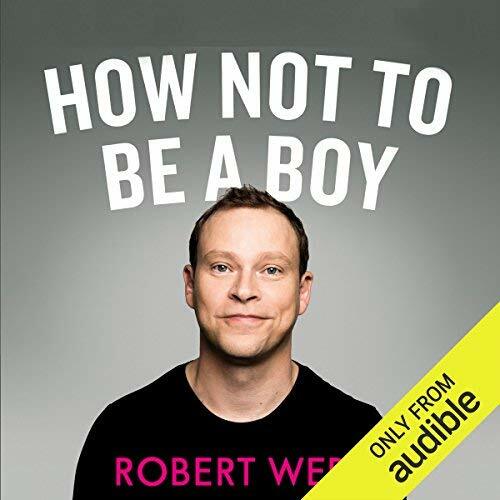 Hilarious and heartbreaking, How Not to Be a Boy explores the relationships that made Robert who he is as a man, the lessons we learn as sons and daughters, and the understanding that sometimes you aren’t the Luke Skywalker of your life – you’re actually Darth Vader. What is life for Gogglebox‘s Giles and Mary outside the willow-patterned cocoon? Giles is a countryman who relishes solitude. His wife, Mary, thrives in company and enjoys frequent escapes to London. After 30 years in a marriage of opposites, Giles and Mary have adapted to a life of domestic misunderstandings within comical misadventures. 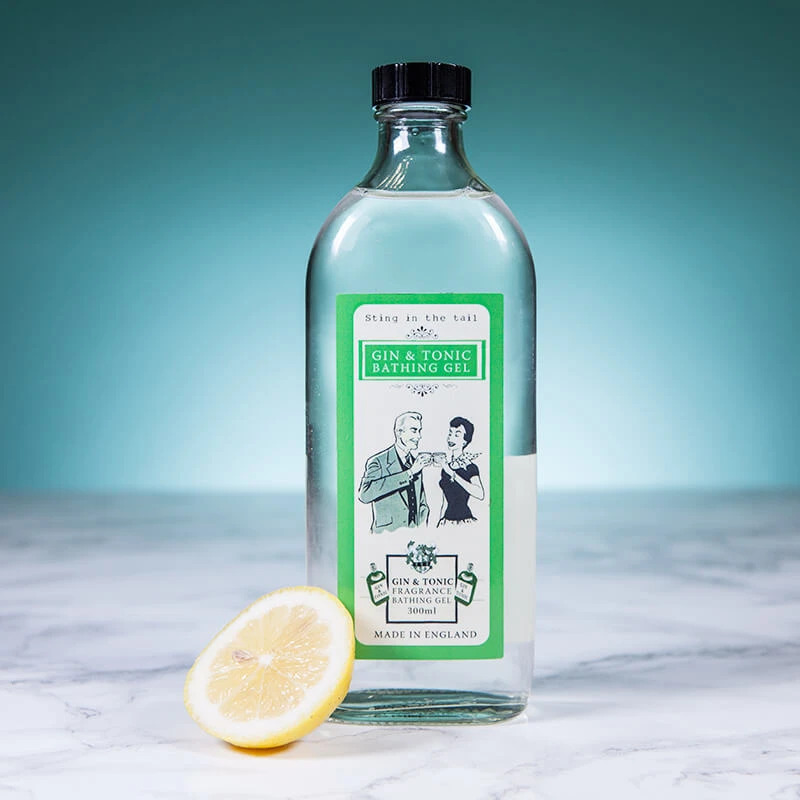 In The Diary of Two Nobodies, you will have the unique opportunity to discover, first hand, what occurs when a man who sees himself as a cross between Mr Bean and Basil Fawlty shares his life with a woman who identifies closely with the Queen. 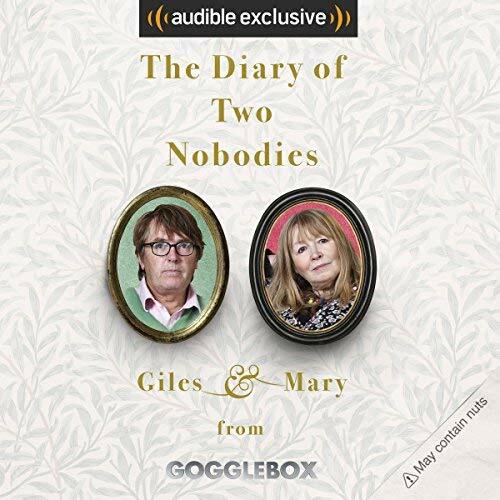 Accompanying this diary is a candid and amusing Audible Sessions interview with Giles and Mary, in which they discuss how they made it onto Gogglebox, what the most annoying things about each other are, and why ‘nutty’ is their go-to term of endearment. Audible – £13.99 or free with a 30 day trial of Audible. This post contains affiliate links because I am an Audible affiliate. I’m also a huge fan of Audible and love receiving my new audio book every month for just £7.99 You can choose anything, I have a six volume set of Sherlock Holmes in my collection which would have cost nearly £70 if I were not a member. Since I got sick my eyesight is troublesome. 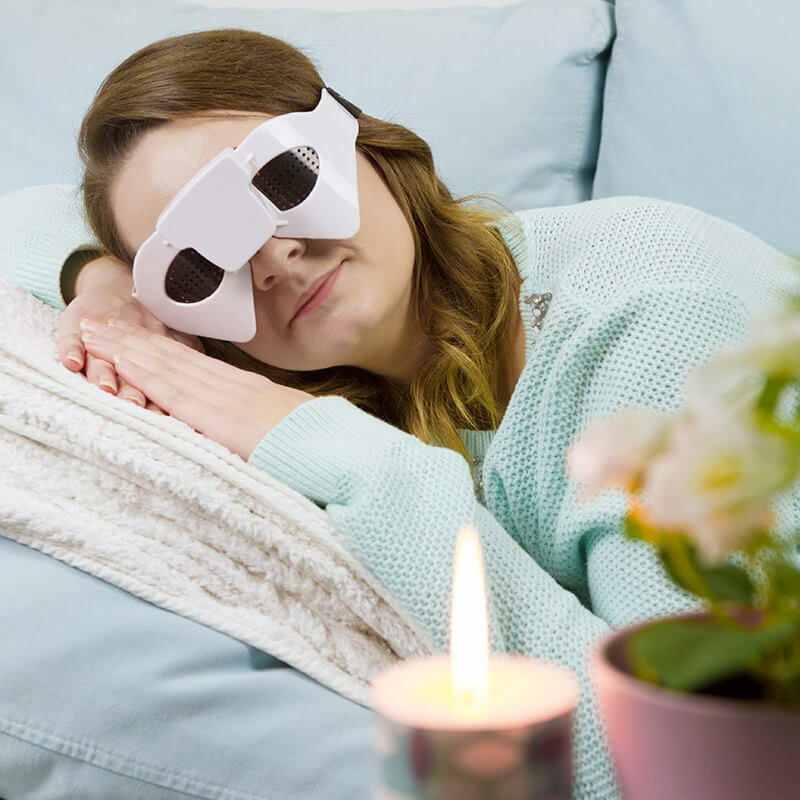 I’ve tried the opticians and have reading glasses, but although they help they don’t stop the tiredness I get in my eyes. I would have to give up reading but since I discovered Audible I’ve devoured more books than I have done in ages. I love it! And the best thing is, I can carry on listening to my books while crocheting or even doing to the housework. You don’t have to put your book down to make a cup of tea, just take it with you in your ears. If you join audible or buy a book from my list you’ll be helping me to add to my listening collection with no extra cost to you, so thank you in advance.